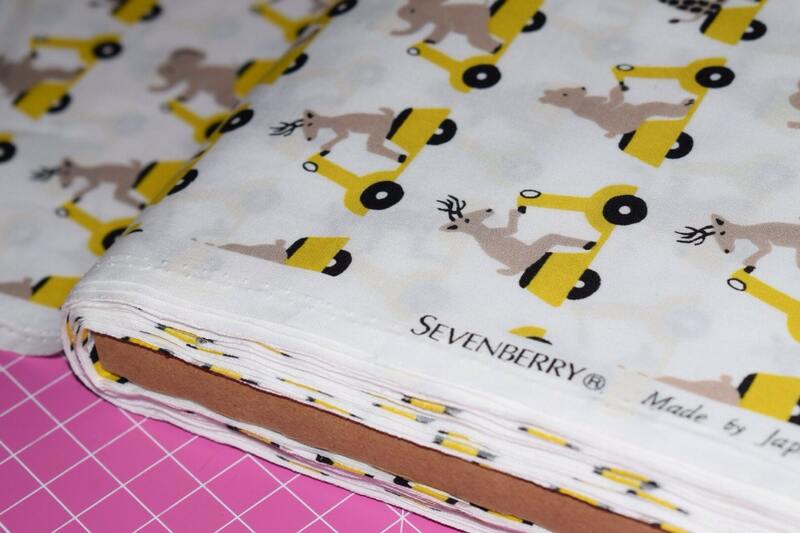 Sevenberry 100% printed cotton. 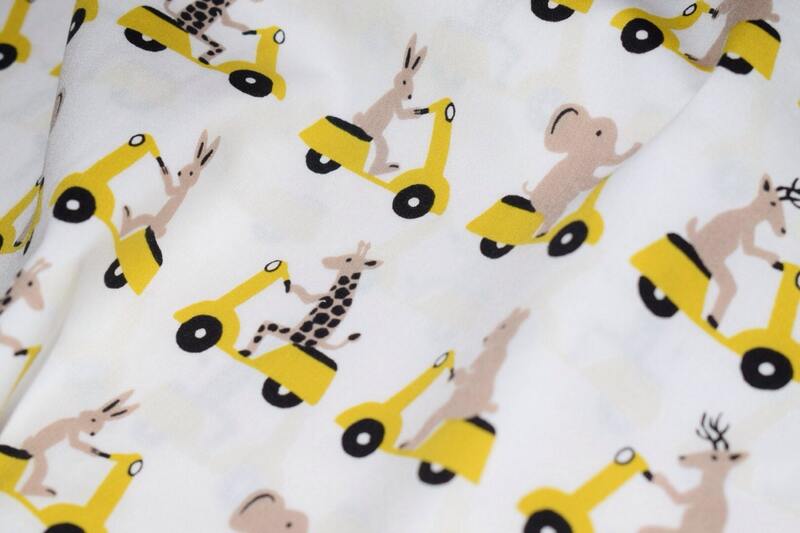 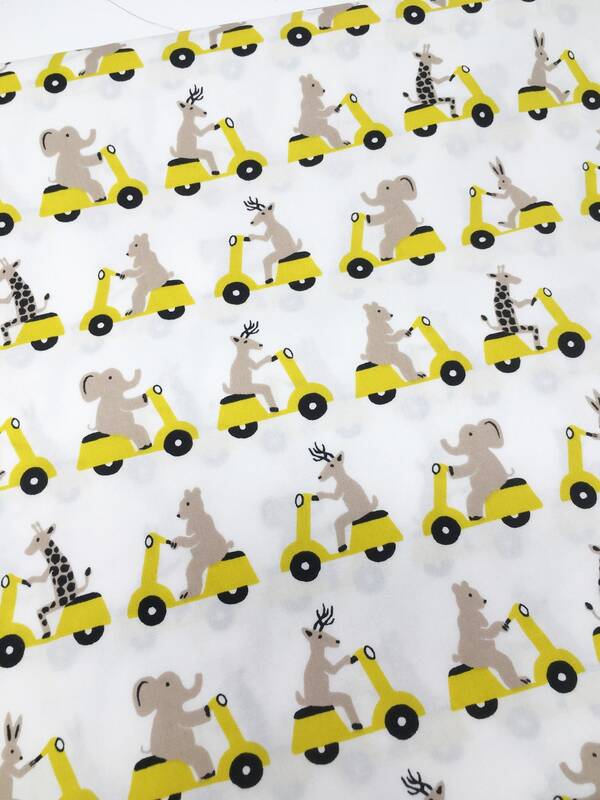 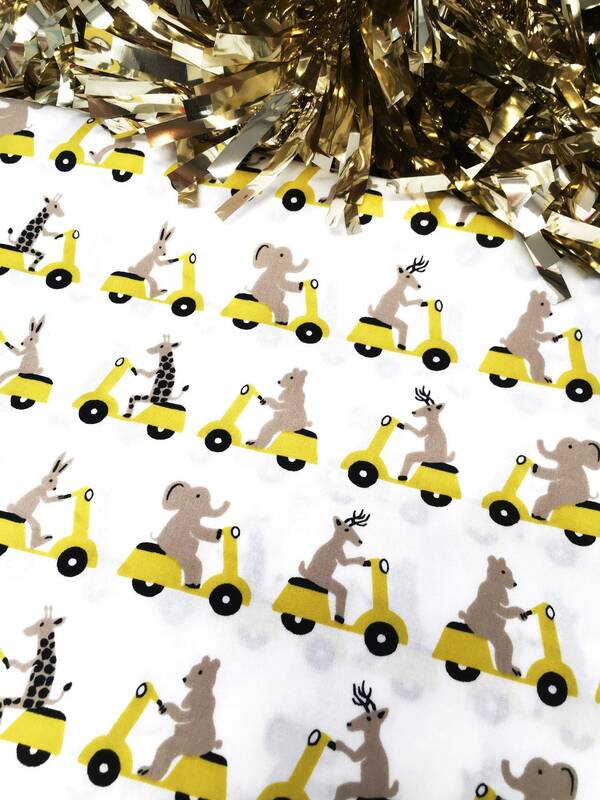 This beautiful fabric features neutral coloured animals riding funky chartreuse scooters. 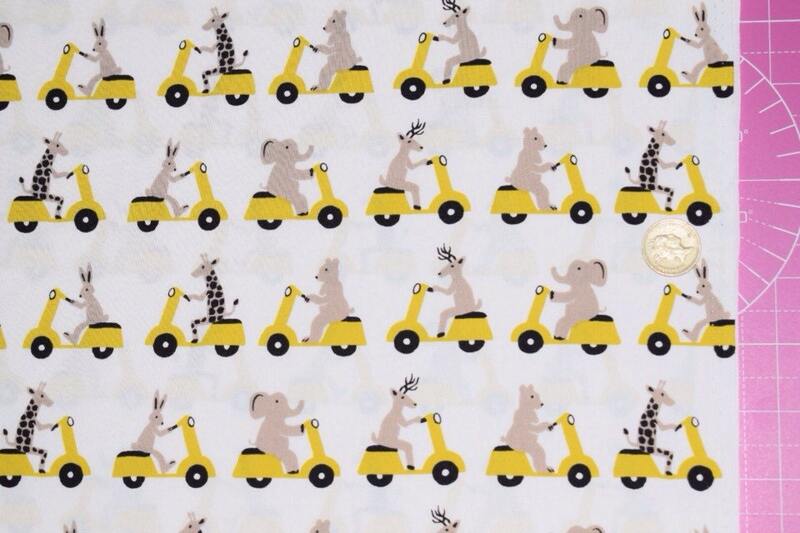 This fabric is approx 44 inches wide. 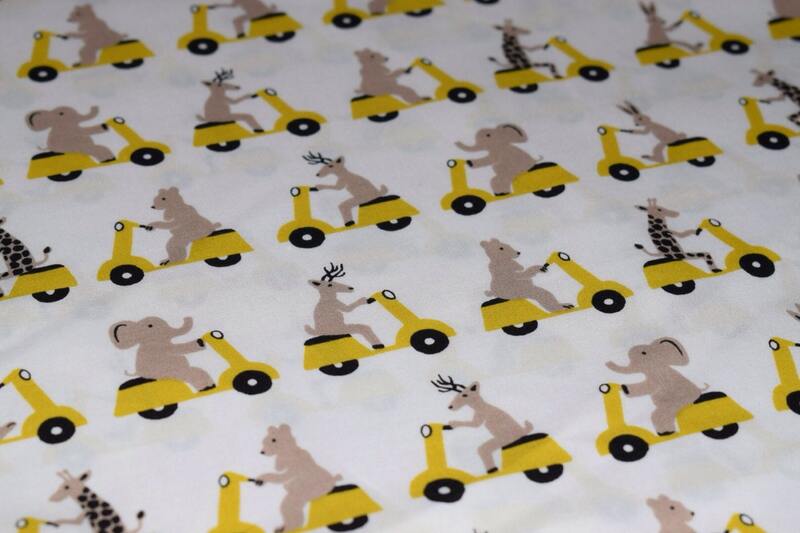 Fabulous fabric & service with quick postage, thank you.